Have you been looking for an inverter AC? Buy O General Inverter AC through Mysmartprice today for the guaranteed lowest prices. O general brings the assurance of authenticity and a host of features that promise to make your cooling experience memorable. With a DC twin tropical rotary compressor and blue fin cooling fan, there is no doubt about the efficiency of O General Inverter AC. You get various air flow filters with every air conditioner, which assures of only clean air to your room. 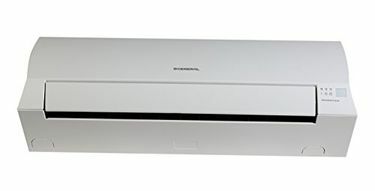 Utilise the power air dual flaps and automatic air adjustment features to get the best of the air conditioners. 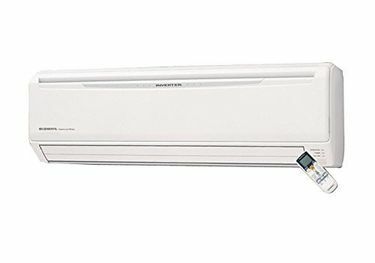 These Inverter air conditioners can be operated in various modes including economy, coil dry, dry and cool, for the most varied experience. With every O general air conditioner, you get a one-year manufacturer warranty. Buy an AC from Mysmartprice, which has the updated price list of 6 O General Inverter ACs as on 20th April 2019. We assure you that you will buy at the lowest prices online for O General Inverter AC if you shop through Mysmartprice, which has the product list from various stores like Amazon, Tata Cliq, Croma and Flipkart. To bring you the best shopping experience, we have user reviews and detailed specifications that can aid you in deciding on the model. You will find the lowest prices for O General Inverter AC only at Mysmartprice by comparing the prices online. Cool your interiors with O General Inverter AC for a satisfactory experience.